Snohomish County is gearing up to sue the state of Washington to recoup costs to comply with a law that required placing more ballot drop boxes around the county. It could be the first of many counties to take that step. The election mandate is proving expensive, as officials here and elsewhere tried to warn state lawmakers. Snohomish County expects to shell out a quarter-million dollars next year to install and operate 19 new ballot boxes. That includes more than $100,000 in staffing and other expenses. The state provided no funding. “That’s the most significant part — it’s an ongoing cost,” county Auditor Carolyn Weikel said. The law took effect July 23. It required at least one drop box for every 15,000 registered voters, with a minimum of one box in each city, town, and census-designated place with a post office. That includes unincorporated communities such as Startup and Silvana. It was sponsored by state Sen. Kirk Pearson, a Monroe Republican who recently resigned to take a job in the federal government. Pearson said he wanted to make it easier for people to vote in rural areas. Civil rights groups, labor unions and progressive organizations also praised the idea. Officials estimated it would cost more than $1 million to implement statewide, with annual costs of $257,000. As a cheaper alternative, Weikel suggested allowing people to mail ballots postage-free. Instead, the county has had to add five drop boxes during the second half of this year. That cost $35,000 for installation and another $1,500 for operations. The county had a dozen drop boxes before the law took effect. “When we have drop boxes, we have to have them open for the election,” Weikel said. That starts 19 days before election day, when ballots are mailed. The county needs to have people pick up those ballots regularly. They work in pairs, never alone, as a security measure required by state law. A team of two closes down each box at 8 p.m. on election night. “We keep doing everything we can to encourage people to participate in the democratic process,” Weikel said. The County Council on Wednesday authorized filing a damage claim against the state to recoup ballot-box costs. A claim is a potential precursor to a lawsuit. It’s likely to be filed this week, said Jason Cummings, the county’s chief civil deputy prosecuting attorney. As of Friday, the state agency that handles risk management was unaware of any similar legal claims from other counties. Additional ballot drop boxes are one of several unfunded state mandates that have county officials griping around the state. A law on the books is supposed to prevent the state from mandating new programs or higher service levels without reimbursement. That’s one of the legal angles the counties will explore. Weiss said to expect a more coordinated response next year. This story is just the latest example of the struggle many localities face in finding the funds to implement state election law changes without a commensurate change in state election funding. It’ll be interesting to see how this lawsuit proceeds, if other counties join – and if it’s successful in persuading the Legislature to increase funding as a result. Stay tuned! 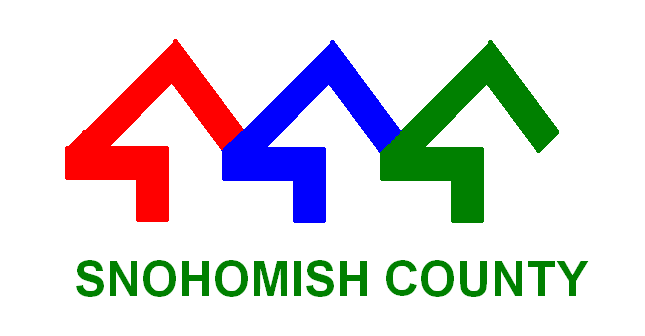 Be the first to comment on "Snohomish County, WA Lawsuit to Seek Funds for Expanded Ballot Drop Boxes"